The Addiction Medicine Program (AMP) is the use of medications in combination with counseling and behavioral therapies, to provide a “whole-person” approach to the treatment of substance use disorders. A combination of medication and behavioral therapies is effective in the treatment of substance use disorders, and can help some people to sustain recovery. Kaytlyn Hardwick came to Clarity Healthcare with 6 years of experience in substance use disorders and mental health treatment. 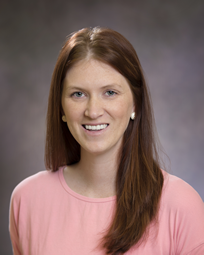 Kaytlyn currently serves on the CIT council for Adams County, Illinois and the Pike County Coalition Healthy Minds Healthy Lives of Pike County. Kaytlyn Hardwick earned her Bachelor of Arts from Quincy University in 2012. 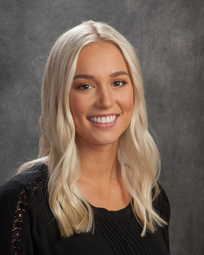 Kaytlyn is a credentialed Missouri Associate Alcohol Drug - Counselor II (MAADC II) and Medication Assisted Recovery Specialist (MARS). Abbie Alderton graduated from University in Missouri in 2018 with a Bachelors of Health Science and a minor is Social Work. Abbie is a credentialed Medication Assisted Recovery Specialist (MARS). For more information regarding Addiction Medicine Program please contact us.